The two things that make Kingdom Cheddar taste so good are the quality organic milk and our cheesemaking experience. The main ingredient of cheese is milk. In fact, to make 1lb of cheese you need 10lbs of milk (that’s the equivalent of about 1.2 gallons of milk). Therefore at Kingdom we believe in only using the very best quality milk. Kingdom Cheddar is made from delicious organic milk, the product of a small number of handpicked, organic family farms nestled away in the countryside of South West England – the birthplace of cheddar. Our family farms are specially chosen for their passion. They work with nature to produce top quality organic milk for our cheese. Find out more about the organic standards they follow here. The temperature climate of South West England means that our cows enjoy grazing on a virtual smorgasbord of grasses and legumes, which impart a unique flavor to the milk. 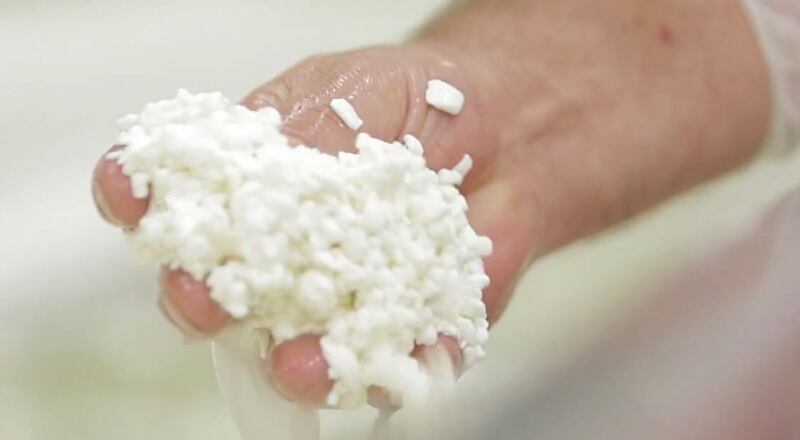 Our expert cheesemakers add dairy cultures and then rennet to the milk to produce curds and whey. The whey is then drained away and the curds are hand pressed into cheese molds. The cheese is then allowed to age for a minimum of 10 months to allow the sharp and distinctive flavors of Kingdom to develop.